Experience an unforgettable New Year's Eve party as you indulge in free-flowing champagne, an open bar, a spectacular balloon drop, & dance the night away to live bands & DJs. For dinner choose from a VIP sit down 3-course dinner with champagne or a dinner buffet of international cuisine. Also enjoy exquisite desserts by the pastry chef at the Willard! Celebrate NYE in grand style with each ballroom representing an international destination with entertainment from around the world, party favors, & More! Please note that as we continue to refine the gala, themes, menus, entertainment, bands and other gala details are subject to change. We are Washington's premier organization for internationally-minded professionals with a membership of over 47,000 individuals. We collaborate with over 80 embassies to present cultural events for our members & our annual New Year's Eve Gala is our most magnificent cultural event of the year! Each year, we present one of Washington's largest New Year's Eve celebrations. 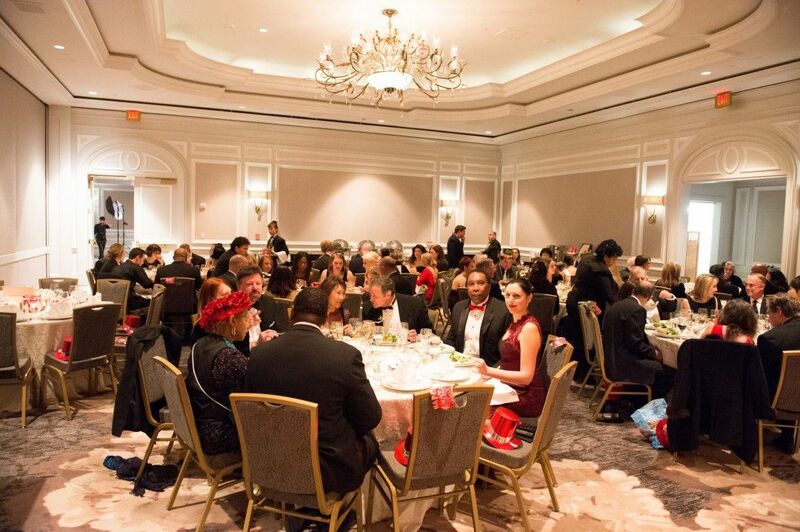 The new year's eve party is well-attended by both singles and couple alike so you are welcome to attend on your own or with friends to meet and socialize with other International Club of DC Members and diverse professionals from around the world. The Willard InterContinental is a sophisticated haven of luxury and service, celebrating its 200-year anniversary in 2018. Steeped in 200 years of history, the iconic Willard InterContinental Washington, D.C., located two blocks from The White House, is a historic hotel that offers 335 spacious and elegantly appointed guest rooms and suites that exude a unique blend of contemporary luxury and historic charm. The hotel has played host to world leaders, dignitaries and celebrities, and now it is your turn to experience an unforgettable New Year's Eve celebration at one of DC's grandest hotels. The Metro is just a couple of blocks away providing easy access. After a spectacular celebration, take the elevator home to your luxurious room at the Willard with special rates for gala attendees. Reserve your room soon on the Web page below, as availability is limited & rates are subject to increase. If you encounter difficulties reserving your rooms, please let us know so we can assist you. 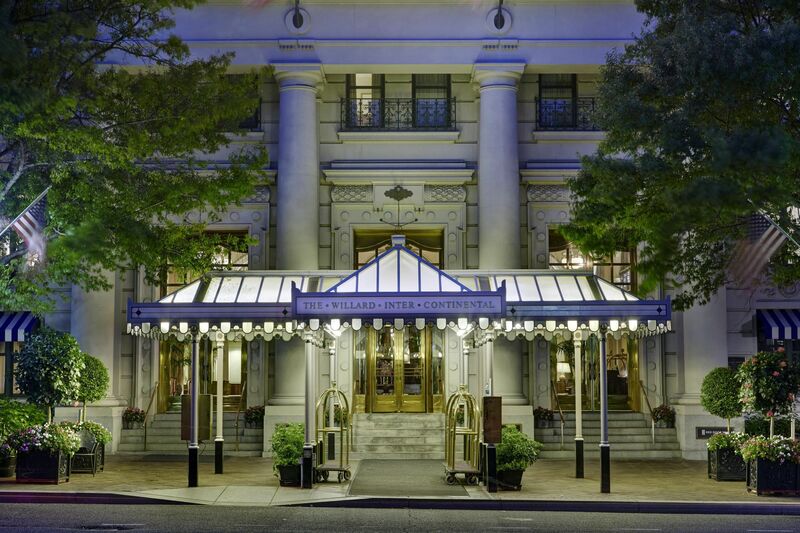 Click here to reserve your room at the Willard's special rate for gala attendees. Please note that rooms at the Willard are handled directly by the hotel. Since we are not in control of the hotel rooms or any aspect of hotel rooms, kindly note that we are unable to be responsible for any aspect of your room reservation. Please verify your room preferences and address any room concerns directly with the hotel. 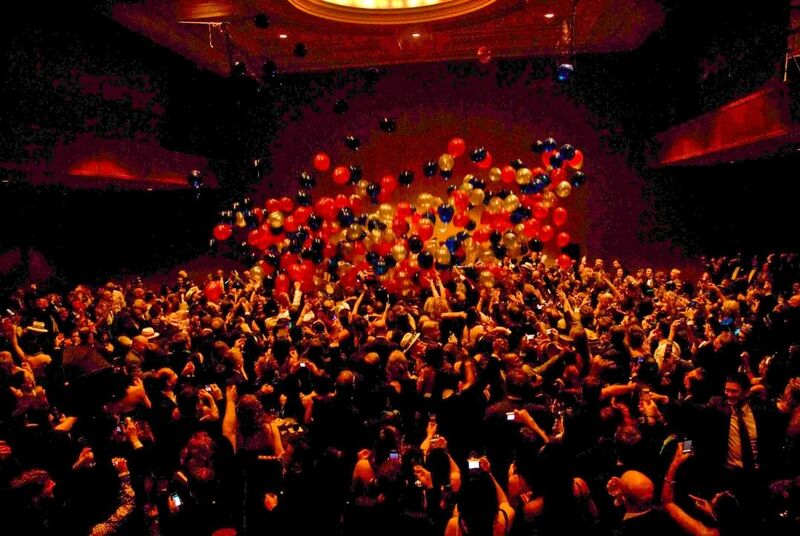 Celebrate New Year's Eve with a spectacular midnight balloon drops in the Euro Nightclub themed ballroom. 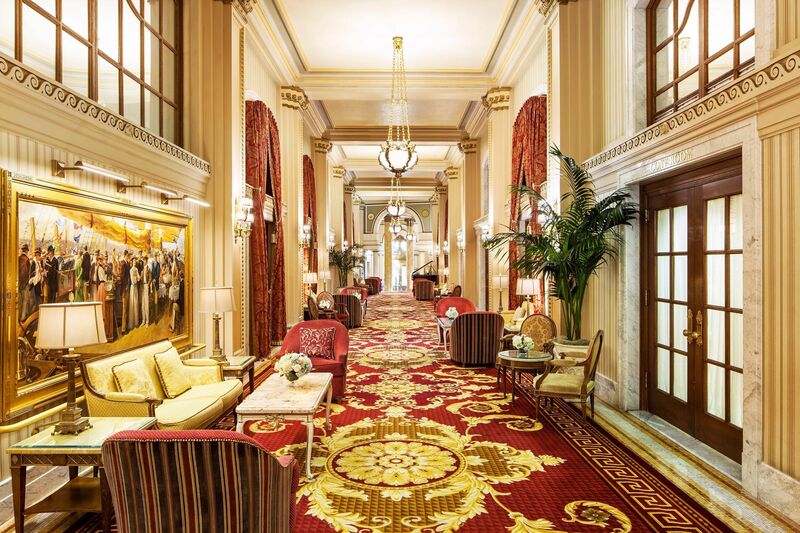 Travel the world as you visit opulent ballrooms of the historic Willard InterContinental Hotel. Enjoy music and dance from across the world. with various ballroom or celebration areas presenting a live band or other entertainment for your passport to a magical New Year's Eve celebration. 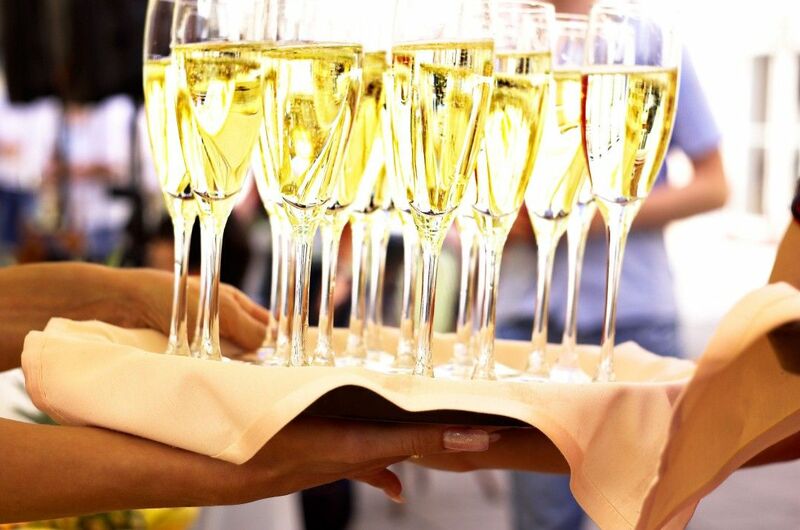 Celebrate in style with free-flowing champagne presented throughout the evening. Experience the excitement of a discotheque in London, Budapest, or Moscow amidst laser lights & dance music. Let us transport you to a Late-Night Euro Discotheque for an unforgettable nightclub experience as you dance the night away to the hottest club hits played by our DJs. Whether you like dancing to the hippest sounds from the hottest nightclubs, ballroom dance music, salsa, merengue and Latin sounds, or music from a Caribbean paradise, we have engaged the finest live entertainment and DJs in town for a memorably exquisite evening as you dance the night away! Be seduced by Latin rhythms of Havana with a night of dancing reminiscent of 1950's Cuba. 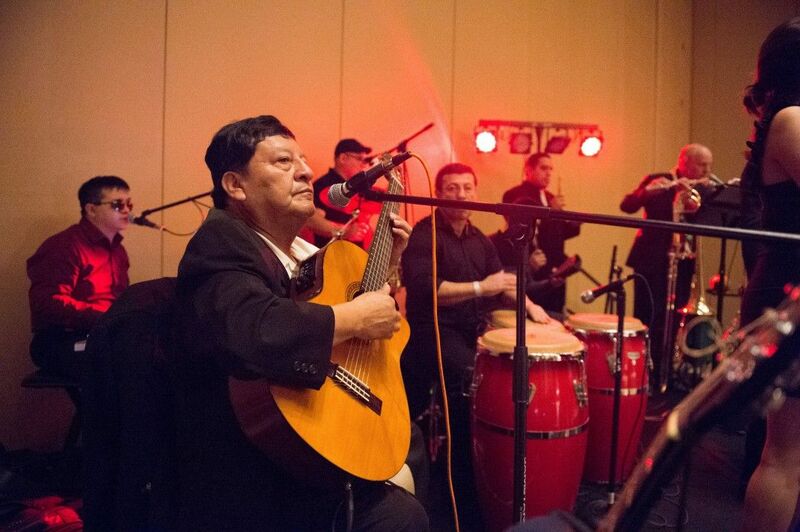 Dance the night away to Salsa, Merengue, Cha Cha, Rumba and other Latin sounds. Dance the night away to a selection of ballroom dance music performed by our glamarous band! Celebrate island style with a Reggae/Island/Calypso band performing sounds from a tropical paradise. Take center stage & steal the spotlight! It's karaoke time! Sing a song & become a star! We care about efficient bar service as much as you do! That's why we have arranged for bars throughout the event space. 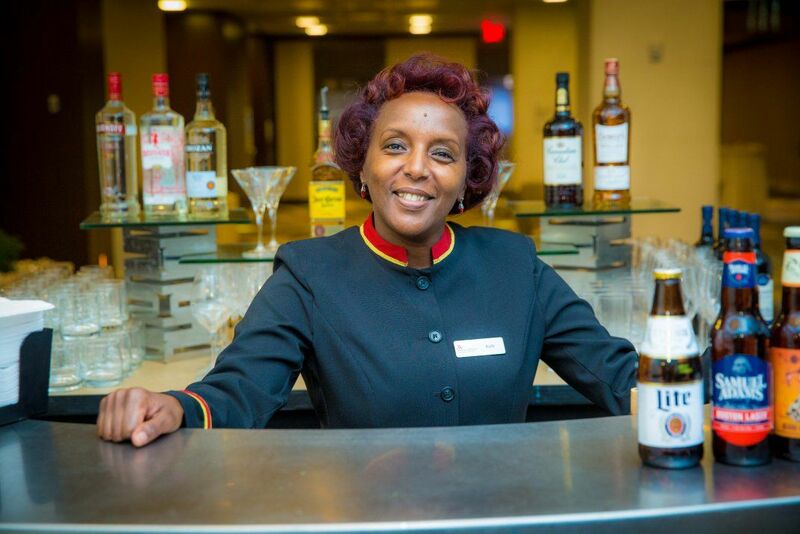 Enjoy an open bar throughout the night until 1:30 AM with free-flowing champagne, wine, beer, & spirits. 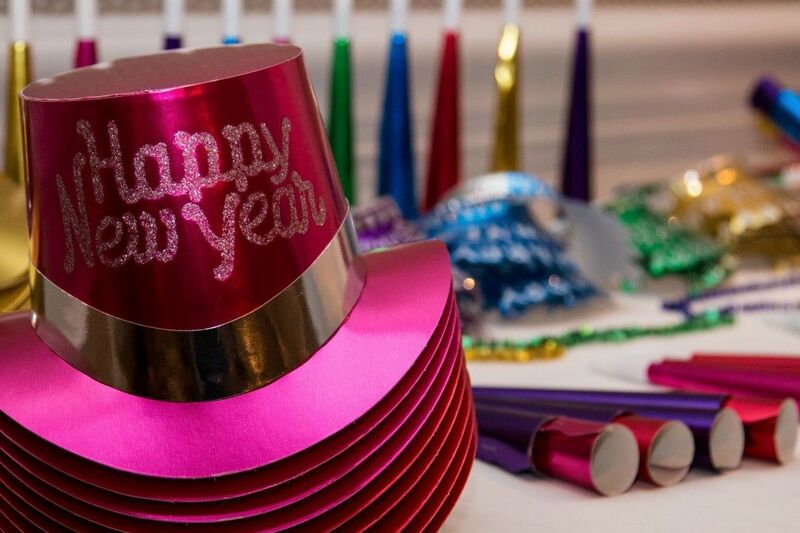 Accessorize for New Year's Eve with colorful party favors offered throughout the themed ballrooms. 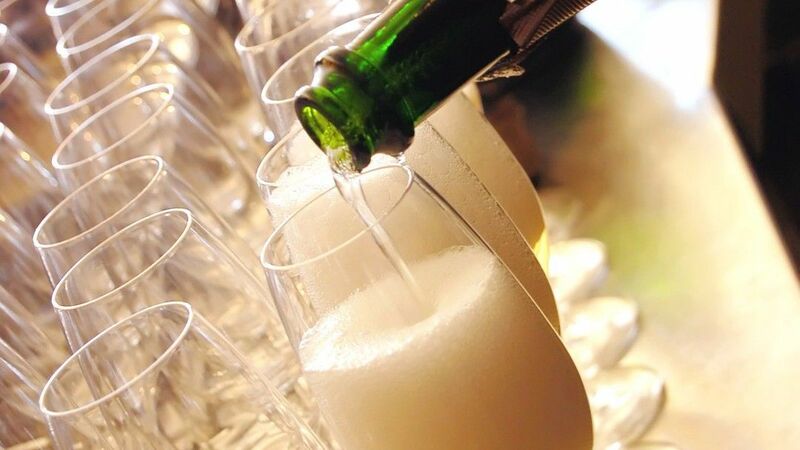 Ring in the New Year with a glass of champagne as you celebrate 2018 with us! We've searched the world to once again assemble a selection of the finest entertainment from around the globe to bring you an unparalleled evening of sophistication and elegance in the heart of DC. Ring in the New Year with the finest entertainment for a night of music, dancing, & celebrating whether you attend on your own or with friends. A limited number of specially discounted tickets are available for a short time. Ticket will increase each week leading up to the gala. 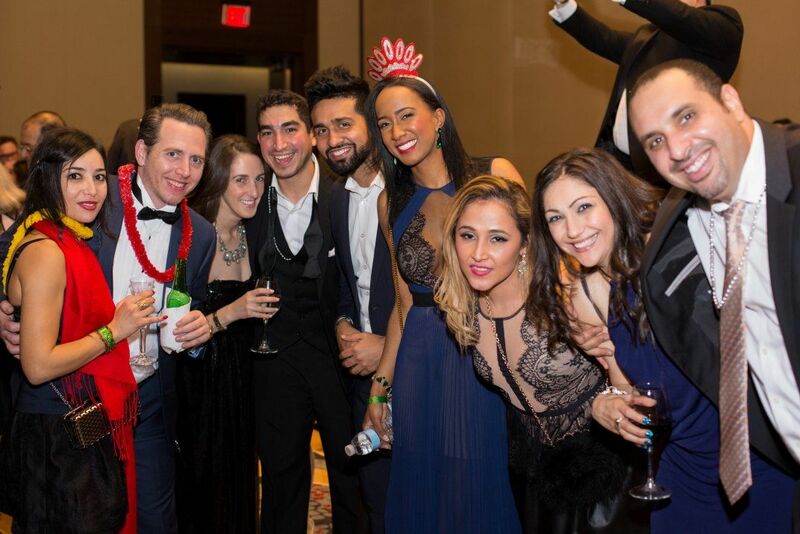 Reserve your tickets soon, as our previous New Year's Eve gala sold out! Please see below for the ticket options as well as gala ticket policies. All online ticket sales are final. No cancellations or refunds on online ticket sales for any reason. All attendees must be 21 and over. Tickets will be released only to the credit card holder who purchased the tickets upon presenting valid ID and the credit card used to reserve the tickets. If you purchased multiple tickets, please arrive for registration together with your guests. Please note that large bags of any kind or winter coats will not be allowed into the event space. Very few tickets are left. As we reach capacity for the gala, ticket prices are subject to increase without notice at any time. 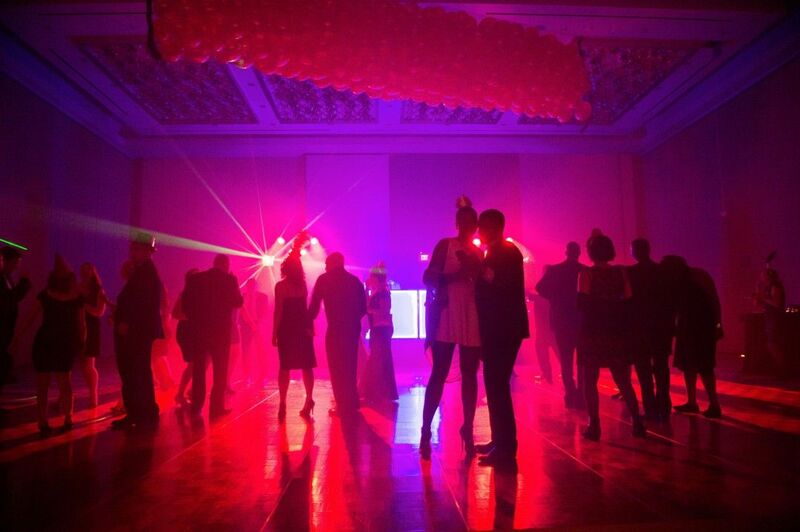 Post-dinner late admission tickets include delectable desserts, themed celebration areas, open bar, midnight champagne toast, a spectacular midnight balloon drop in the Euro Discotheque Ballroom, live bands, DJs spinning international club hits, karaoke, & party favors. Please note that dinner is not included with the 10:30 PM admission tickets and instead you will be presented with a selection of delectable desserts until midnight. Themes, bands, entertainment & menus are subject to change as we continue to refine the gala. Admission at 9PM, internationally themed celebration areas, open bar with free-flowing champagne, international dinner buffet presented in the Euro Discotheque themed ballroom foyer representing the cuisine of vibrant international destinations, delectable desserts, midnight champagne toast, a balloon drop in the Euro Discotheque themed ballroom, live bands, DJs spinning international club hits, karaoke, & party favors. Dinner is served until 9:55 PM with desserts served after that. Please ensure you arrive prior to 9:40 PM to enjoy the dinner buffets presented as dinner service concludes at 9:55 PM. Themes, bands, entertainment & menus are subject to change as we continue to refine the gala.. In addition to general admission benefits, enjoy a 3-course sit-down dinner with champagne at 7:45 PM served in The Crystal Ballroom, one of The Willard's most exquisite event spaces. We will be seating you with other guests at tables of ten (10). If you have a large group of guests and wish to sit together, please arrive together and let us know when you check-in so we may assist you. Table seating and live music is presented while dinner is served for the prelude to an exciting celebration. Please be on time as the last dinner seating is at 8:25 PM! 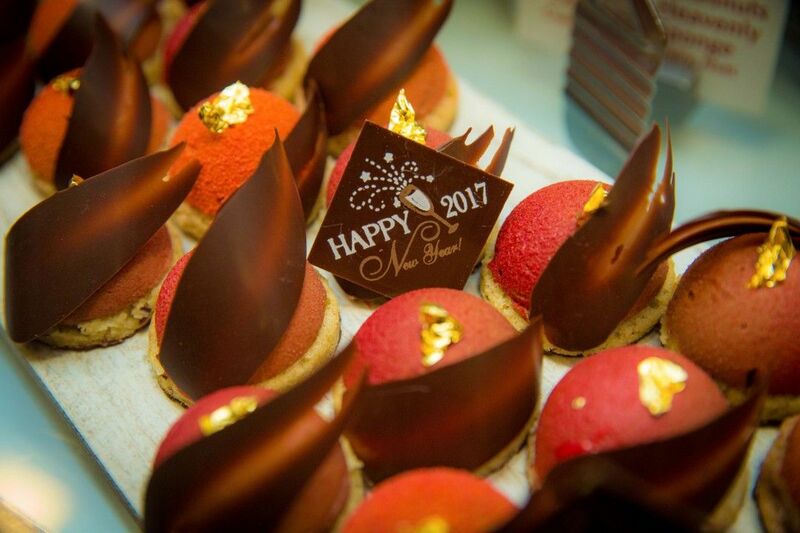 After the Presidential Dinner service concludes at 9:00 PM, join us in the ballrooms downstairs to enjoy the New Year's Eve Gala! Themes, bands, entertainment & menus are subject to change as we continue to refine the gala. No cancellations or refunds on online ticket sales for any reason. No large bags or winter coats are allowed in the event space. Security staff may screen guests and anything brought into the event space. Please note that as we continue to refine the gala, themes, menus, entartainment, bands and other gala details are subject to change. Together with the hotel and the entertainers engaged for the evening, we are all working diligently to present you a spectacular NYE celebration, regardless of the weather. The NYE Gala will be held rain, shine, or snow, including severe winter storms. Kindly note that by purchasing a ticket, you accept the responsibility to arrive at the hotel for the gala on time. Due to expenses incurred, we are unable to offer refunds in the event you are unable to attend the gala for any reason, including severe winter storms. Purchase of tickets constitutes your acceptance of our rain date policy and no-refund policy, as all ticket sales are final. 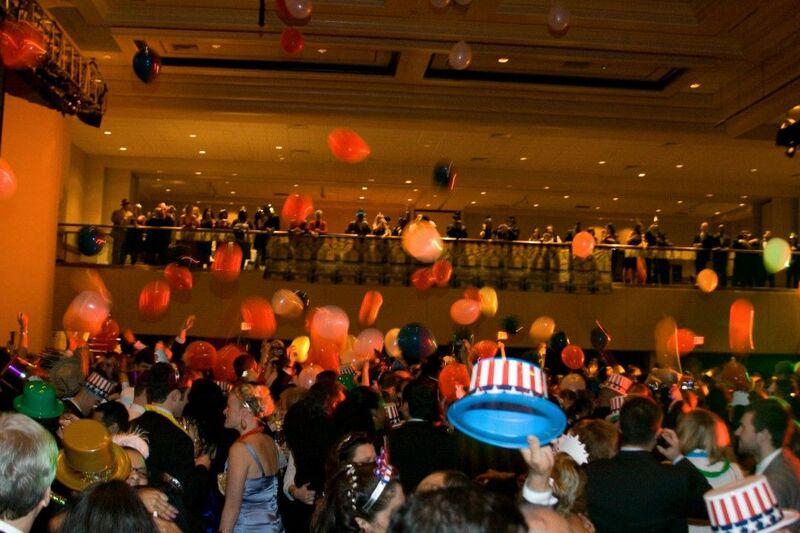 The gala concludes at 2:00 AM with some aspects of the gala concluding at 12:00 Midnight (balloon drop), 1:00 AM, and 1:30 AM. 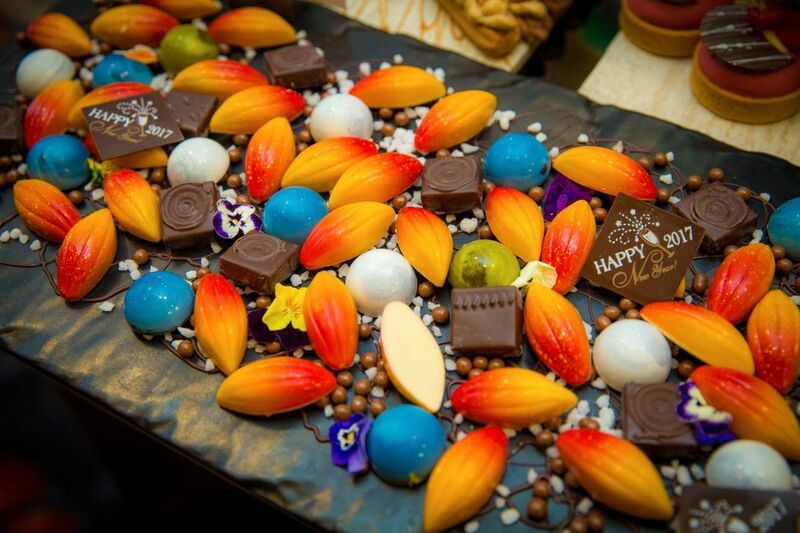 We have searched the world over to bring to you the finest selection of exquisitely delectable desserts prepared by the pastry chef at the Willard InterContinental for a memorable celebration. Assorted Cheeses, Sliced French Baguettes & Assorted Crackers also served. 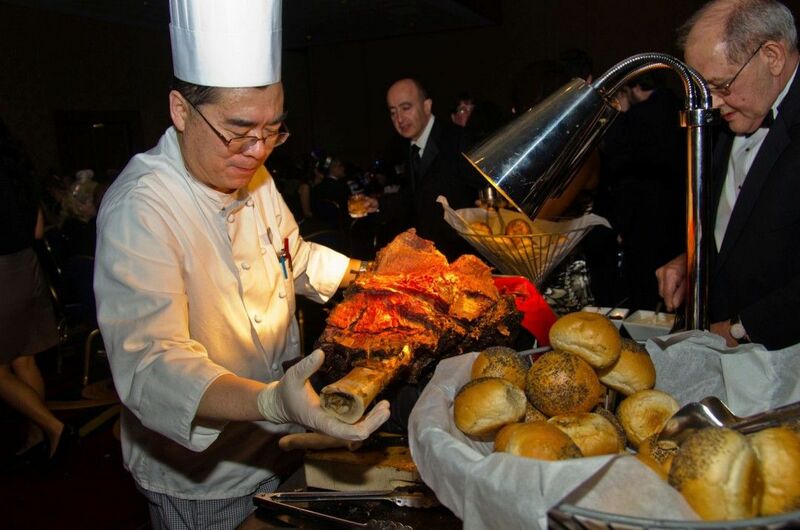 The award-winning chefs at the Willard InterContinental have prepared a delectable dinner buffet representing international flavors and culinary traditions. 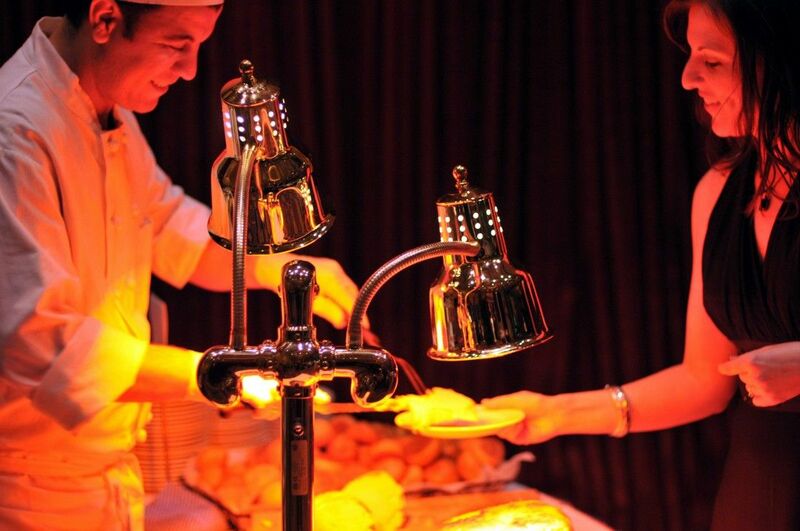 The dinner buffet will be presented in the Euro Nightclub themed ballroom from 9:00 PM to 9:40 PM. If you reserved an Ambassador Level Ticket, please arrive at the registration desk at 9:00 PM to allow time to enjoy the dinner buffets presented. Please note that as mentioned on the ticket level descriptions, the dinner buffets close at 9:40 PM. We are unable to issue refunds if you arrive after 9:40 PM and miss the dinner buffet. Make your New Year's Eve experience an extra special indulgence with the Presidential Level ticket option featuring all of the fantastic amenities our New Year's Eve Gala complemented by a special VIP seated 3-course dinner with champagne for Presidential Ticket holders. The seated 3-course dinner is presented from 8PM to 9:00 PM with the last seating at 8:40 PM. We are unable to issue refunds if you arrive after 8:40 PM and miss the 3-course seated dinner. Table seating is reserved for Presidential ticket holders until 9:00 PM. Cranberry Vinaigrette Dressing. Served with Dried cranberries and Blue cheese crumble. You don't need a date to attend as both singles & couples attend the gala. Attend on your own or with friends to celebrate with other internationally-minded professionals! Our members are friendly, outgoing, and a diverse group of internationally-minded professionals. The credit card holder must arrive at the Registration Desk (together with any guests) to sign for & collect tickets with Photo ID matching the name on the guest list along with the credit card used to purchase tickets. Tickets will be released only to the credit card holder. If you purchased multiple tickets, please arrive for registration with your guests. The recommended attire is either cocktail attire or Black Tie optional. Ladies can wear a formal gown, cocktail dress or other appropriate attire. Gentlemen may wear a tuxedo, dark suit, or other appropriate attire. Have fun dressing up as you can't overdress for this event! Kindly note that parking is handled directly by the hotel and we are not reponsible for any aspect of parking. Hotel parking is limited & available on a first-come basis and not guaranteed. We recommend Uber, a cab or the Metro. Valet & self-parking for event attendees is $35.00. Valet & self-parking for overnight guests is $55.00. Self-parking entrance is on F Street between 14th & 15th Street. Additional parking: Metropolitan Square on F Street between 14th & 15th Street, nearby garages, or street parking. Parking rates may increase. When should I arrive for registration? Registration commences 30 minutes prior to the time of admission. Please arrive for registration 30 minutes prior to the time of admission so that you can check-in, relax in the hotel lobby, and enter the event space at your time of admission. If you purchased more than one ticket, please arrive together with your guest(s). Allow plenty of time for traffic/parking. Kindly note that factors such as parking & traffic are beyond our control & it is your responsibility to arrive at the registration desk on time. 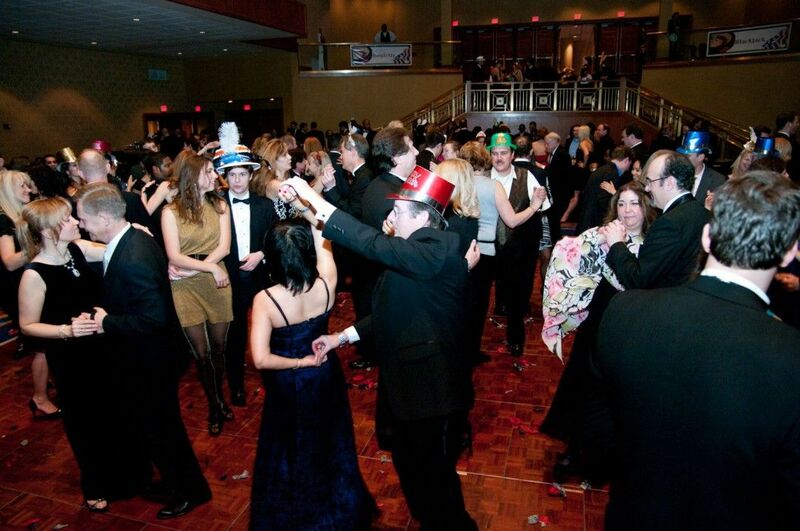 Each ballroom of the New Year's Eve Gala is a gala within a gala. With several live bands, DJs, and other entertainment, the gala is attended by guests comprising of a large age range. Whether you like to ballroom dance to a live band or dance the night away to our DJs performing the hottest club music, there's something for everyone! The hotel will offer a coat check for guests attending the gala for a very nominal fee of approximately $6 cash per coat/item. Kindly note that we are not responsible for the coat check, as the The coat check arrangements will be handled directly by the hotel. May I transfer my tickets? You can transfer tickets to another guest as long as you contact us 48 hours prior to the event, and request a Credit Card Payment Authorization Form for payment confirmation. We must receive the signed Credit Card Payment Authorization Form at least 48 hours prior to the event with a copy of your photo ID in order to authorize another guest to attend the gala. For the security of the creditcard holder, there will be no exceptions to this policy. We are happy to answer any additional questions you may have. Please contact us and we will get right back to you! Â© 2018 International Club of DC Inc. All rights reserved.